This via Manbiot. He's talking about the removal of indigenous people from the Central Kalahari Game Reserve because De Beers wants the diamonds on their land. Ten days ago a United Nations committee noted “persistent allegations that residents were forcibly removed, through, in particular, such measures as the termination of basic and essential services inside the Reserve, the dismantling of existing infrastructures, the confiscation of livestock, harassment and ill-treatment of some residents by police and wildlife officers, as well as the prohibition of hunting and restrictions on freedom of movement inside the Reserve.” People who have tried to remain in their lands have been tortured, beaten and starved. 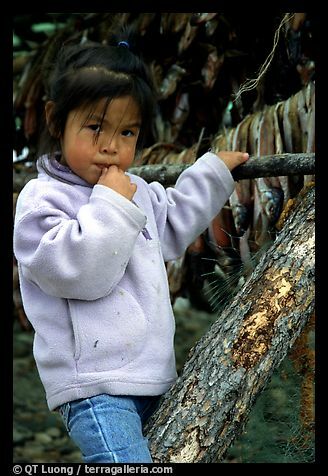 When, in the 1960s, the Innu of Canada were evicted from their lands by similar means and for similar purposes, they immediately fell prey to alcoholism, petrol sniffing and suicide. Fifty per cent of the population now has diabetes. Thirty-five percent of the Innu children in schools in Labrador have foetal alcohol syndrome. Suicide rates are around twelve times higher than the national average. This will be a familiar story to anyone who has witnessed the forcible relocation of indigenous people. Are there any such peoples in the Arctic National Wildlife Refuge where the oil is. And do you doubt the oil companies will drive them off as well? Just asking.